SAVE TIME AND MONEY. ​ENSURE QUALITY, AND INCREASE VISIBILITY OF YOUR ​SUPPLY CHAIN AND STORAGE. ​No problem if you are trying to view more than one sensor either. There is no limit to the number of sensor systems and networks you can keep track of remotely. 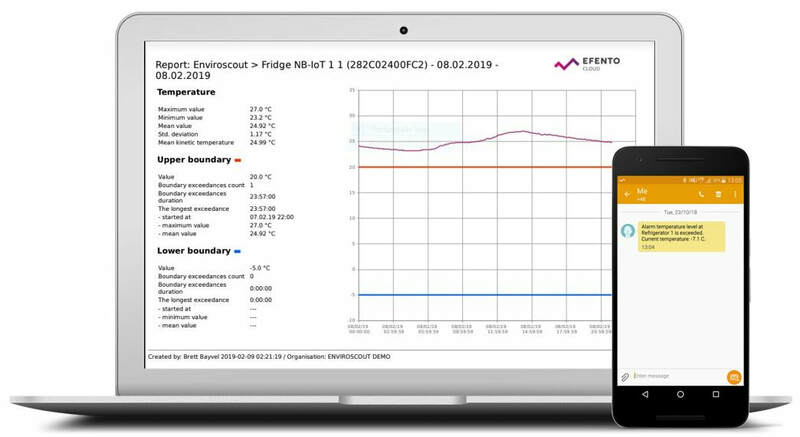 ENVIROSCOUT is the proud exclusive distributor of the Efento wireless NB-IOT remote monitoring system for Southern Africa. 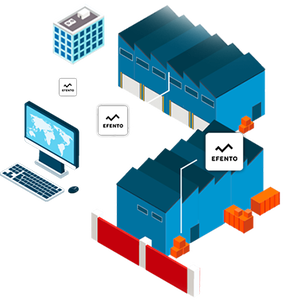 Efento designs and produces NB-IoT and Bluetooth Low Energy wireless sensors along with gateways, which allow connecting sensors to Efento Cloud platform. All of our products are designed and assembled in EU, meeting the highest quality standards. 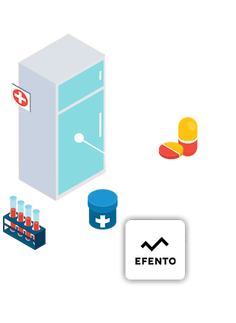 Efento sensors are one of the World’s first NB-IoT sensors. Comparing to other wireless solutions, Efento sensors offer enhanced battery operation (up to 5 years), good signal coverage since communication infrastructure is provided by telecom operators and easiness of configuration and installation. Efento’s products are mainly used by pharmaceutical industry, healthcare (hospitals, clinics) and food processing industry. Efento is working on expanding its NB-IoT sensors portfolio by several dozen types of sensors, including motion, light, vibration, CO, flood. 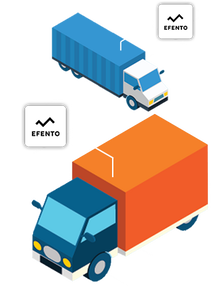 ​From customers’ point of view installing and configuring Efento NB-IoT sensors is quick and easy. Sensors can be configured either remotely (via cloud platform) or locally, using a smartphone with Efento Logger mobile application. 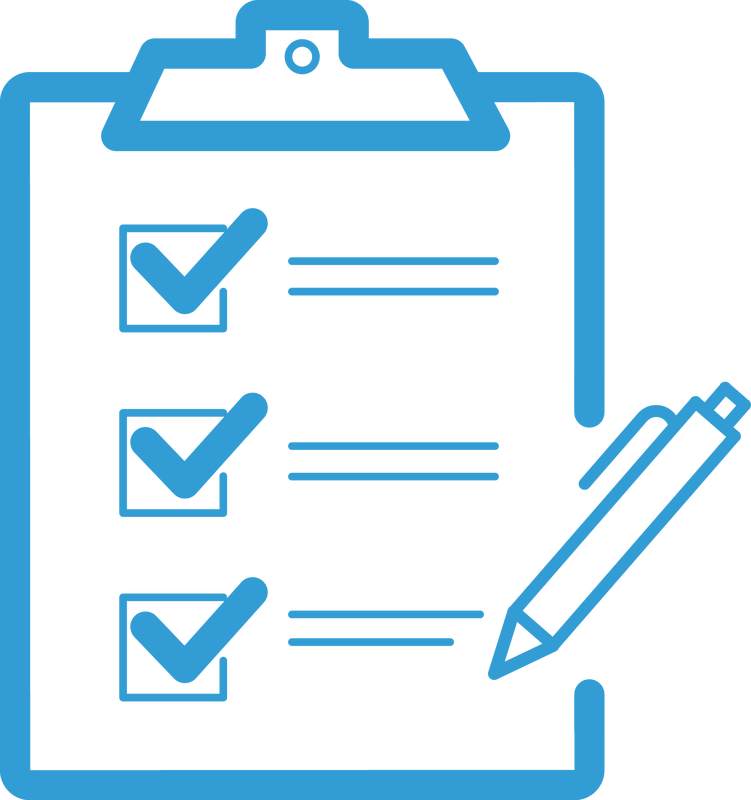 To make things even easier and convenient, we offer a full compliance service which includes all the components (sensor, calibration certificate, platform and connectivity). This will allow customers to focus on their core business and only get the measurements / alerts from the cloud without taking care of the technical or compliance details. 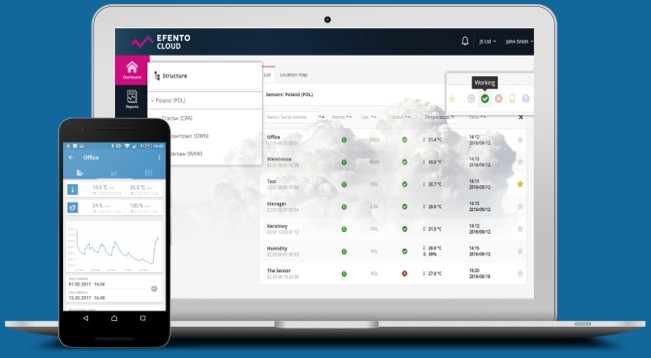 Using the Efeneto cloud platform to gather, analyze and proceed the data allows organizations to build more flexible models – e.g. a company’s QA department can monitor temperature in warehouses located around the World or one person can monitor forests fires in whole region or a country. ​Moreover, the Efento cloud platform doesn’t require IT expertise on the customer’s side to install and maintain the system. Another important factor for customers is the reliability of the system – NB-IoT is the only LPWAN with SLA guaranteed by infrastructure operators. 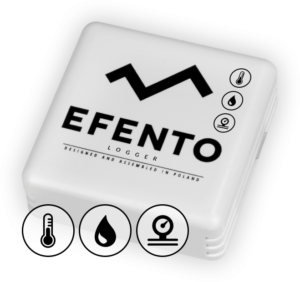 ​Efento sensors are equipped with Bluetooth LE and NB-IoT functionality. These two communication interfaces allow sensors to communicate directly with smartphone over Bluetooth interface and to send the data to the Efento cloud platform or 3rd party software servers over the NB-IoT interface. ​Sensors are powered by two AA, 3.6 V battery which, depending on configuration, can work for up to five years. Devices have built in memory, in which they store up to 30 000 historical measurements. The measurement period is configurable from 1 minute to 10 days. Efento sensors can measure various physical values including temperature, humidity, differential pressure, VOC, acceleration. Currently we work on adding more sensors such as, motion, light, vibration, CO, flood.